Meet Cosmo, he is a mothers dream, the horse you look for for your daughter, he is a thirteen year old sorrel gelding, four white feet, flaxen tail, and talented, willing, happy and safe, a high school band could march by and you would be surprised to see Cosmo wiggle an ear. But take him outside in November after the first snow to let him play in the pasture, and his head is up and he snorts and puts his tail up in the air and has a little prance in his walk. He thinks he is a two year old again, all you can do is smile! You really captured a moment. Cosmo's beautiful. Thanks Kerri, Cosmo holds a special place with me, he is the once in a lifetime kind of horse. He looks like a dream, as does your beautiful painting. nice painting. Cosmos sounds like a great horse for a kid. He reminds me of the horse I had in college. I love this painting. You can really see him stretching his neck and sniffing/snorting into the cold air. Is this one watercolor? It has such a painterly feel. 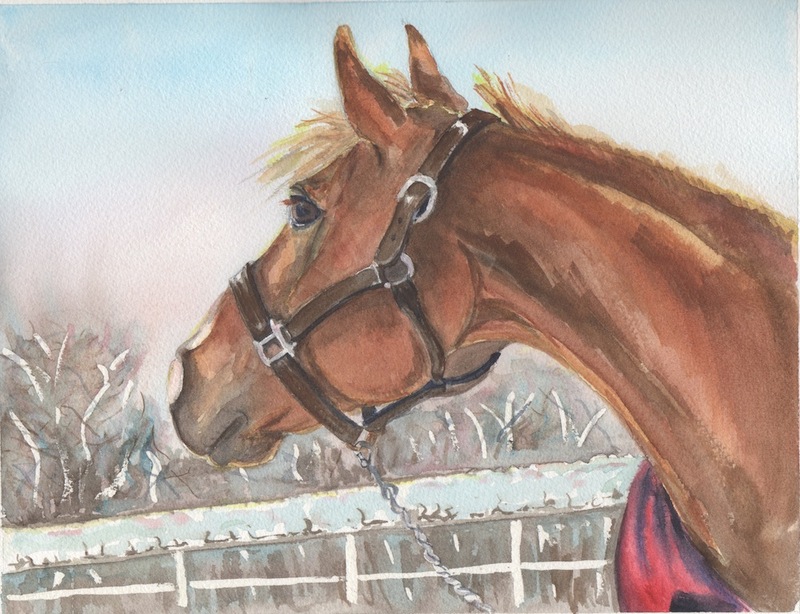 Thanks for the kind words Carol and Gary, you will see more paintings of this horse, he is quite special to our family, tons of personality. This is a watercolor Gretchen, I had a lot of layering of thinner washes, trying to get what I wanted, my picture was a little dark, so I had to experiment with how the neck, muscles should appear in the painting. I am struggling through another acrylic painting, I will share it as soon as i can get it ...started....finished....figured out...or somewhere in between! 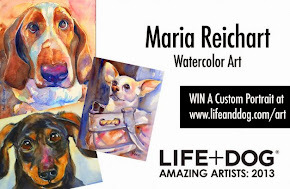 Beautiful painting, Maria, and fun to hear about his personality, too!